This week, while we watched the near pass of a large asteroid, an unseen meteor slammed into the skies above Russia. A wonderful coincidence and more than a good enough excuse to spend a few minutes looking skyward, especially for those of us who spend far too much time looking at the earth. For me, that same day, I had pause for thought while walking a nearby field at dusk. The field interested me as there were river terrace gravels outcropping in the soil, part of a terrace that has produced a few handaxes in the valley and where my son found a rolled biface five years ago. That evening the soil wasn’t going to yield any tools but I didn’t find a rough and worn marcasite nodule. These objects are fairly common in the chalk and, being comprised largely of iron, can easily been found in the ploughsoil. I collected them as a kid, both fresh from the chalk quarries and from fields while looking for old Second World War mortars. The reason they held such fascination for me as a child was that I had in my head they were meteorites, that they had fallen from the sky. It struck me that for me they were my first grappling with the theme of this blog, Ceraunia. 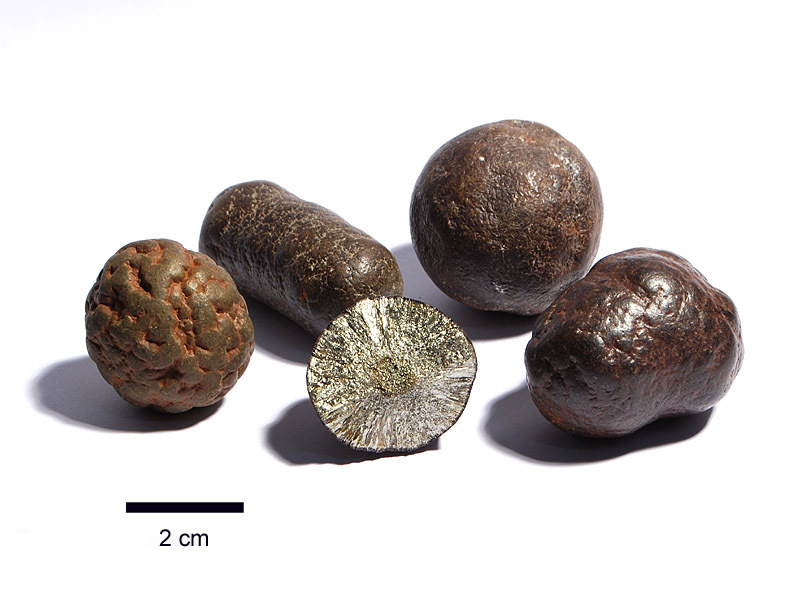 My attempt to explain these objects, which stood out from the natural jumbles of chalk and flint as distinctive, misplaced, heavy in the hand and with a surface which looked like cooled viscous metal, was informed by a 6 year old’s knowledge of nature. It’s very telling to me now that as a child I looked up to the sky for an explanation rather than to the ground below where the answer lay. I haven’t really started to talk around this subject here but this confluence of experince and thought seems like a starting point. My interest in Ceraunia comes directly from this thunderbolt moment of human consciousness which I experienced as a kid and can still access now: what sense does Homo make of the object which apparently stands out from ‘nature’? what thought processes does this trigger? and how does it alter human understanding and behavior in evolutionary terms? It’s my intention in this blog simply to scrap-book relevant examples of human interaction with the environment and explore this theme for myself from a few angles. This week it struck me that rocks, when they appear unexpected from a clear sky, still carry a real and sometimes dangerous potency. I think its very useful to address what significance such objects, from the small fossil or tool to the large erratic boulder, played in our developing, conscious understanding of the world.